ES - Class D Amps? I have read here that class D amps are very bad regarding ES. But at what distance are they ´safe´or should they not be had at all for es people. I think there are a difference also between a 30w small class d amp and a 300w class d amp. Class D amps are bad for ES people because they use pulse-width modulation to reduce power requirements. I couldn't even stand to use a 25 watt Class D amp, but I have no problem with a 75 watt Class A amp (which has no power savings at all). Class B amps are fine too, it's just the Class D and Class T amps that should be avoided. It's basically the same reason that one shouldn't use dimmer switches, which turn lights on & off very rapidly, generating high frequency square waves. Or why one shouldn't use a switching power supply. Or an LED monitor with a flickering backlight. "A class-D amplifier or switching amplifier is an electronic amplifier in which the amplifying devices operate as electronic switches, and not as linear gain devices as in other amplifiers. They are rapidly switching back and forth between the supply rails, being fed by a modulator using pulse width, pulse density, or related techniques to encode the audio input into a pulse train." At what frequencies do these amps emit radiaton/magnetism? > At what frequencies do these amps emit radiaton/magnetism? "Class-D amplifier must operate at quite high frequencies, in the 100KHz to 1MHz range"
Ok thanks. Somehow I don´t trust everything I read. In this case they may have "sideeffects" emitting on other frequencies also - I think. Although, searching on Google, I do see some results for "Ultra Low EMI Class D Amplifier", so there may be exceptions to the rule. Oh, and I see from that article that my 85 watt amp is really "Class AB", not "Class A". So not that impressive, after all. :-) But still doesn't use pulse-width modulation, like the more modern amp designs. Unfortunately, as time moves forwards, almost everything will become Class D, so one will have to either use old Class AB amps, or find a Class D amp that doesn't put out so much electromagnetic interference. What can be done so the body better tolerate the emf from class D amps? Same as for other emf fields? > as for other emf fields? 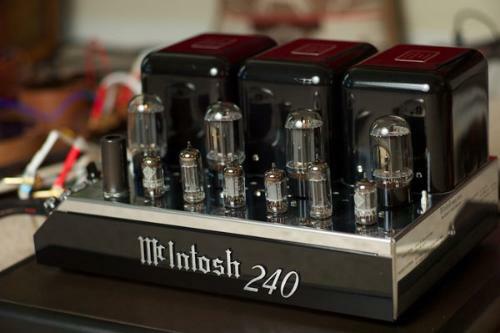 Although for something like this, I think I'd just buy a different amp.